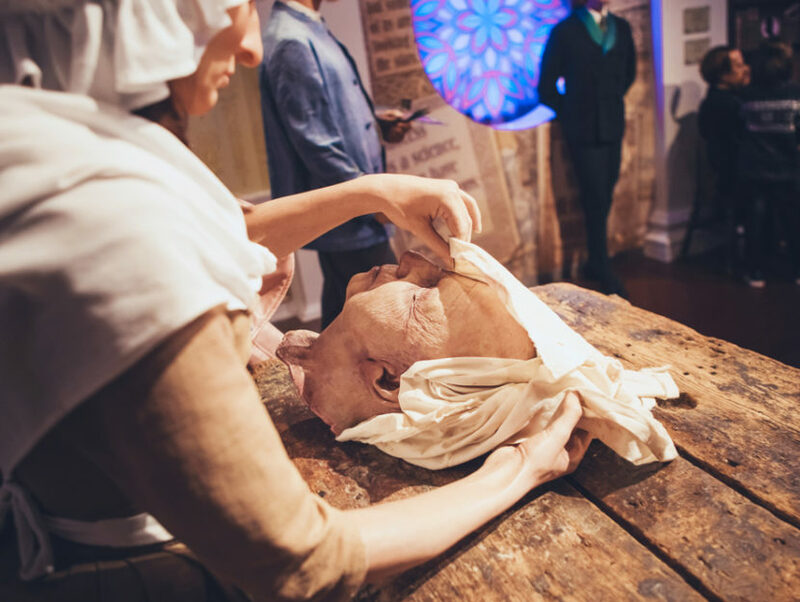 How well do you know the story of Madame Tussaud? Here's a take from one of our readers. I didn’t know much about Madame Tussaud, or French history for that matter, before reading Madame Tussaud. And if you asked me if I wanted to read a book about the two, I’d probably say, “no, thanks anyway.” But this book was given to me and I felt compelled to read it. I am so glad I did! It was the best book I read in 2011! The story revolves around Madame Tussaud as a young woman practicing her art of crafting wax models with her uncle. She is portrayed as very serious about her art and about the business she and her uncle run. However, as the French Revolution begins, and she becomes involved on both sides of the battle, we start to see other sides of her as well. She is asked to tutor the King’s sister in wax modeling at Versailles and sees another side of royal life that most commoners don’t see and her heart softens for them. Back at home, she is surrounded by those who want to overthrow the king and queen and finds she must walk the line between the two sides in order to stay safe. Meanwhile, she also starts to fall in love with her neighbor. As readers, we learn much about Madame Tussaud (before she was known as such), as well as the French Revolution. The writing is so good that I felt like I was in Paris, experiencing the events firsthand for myself. Michelle Moran slipped in so much historical information that it didn’t feel like I was learning as I read – but, of course, I was. Moran not only drew us to a woman, but also, to a country. The second half of the book flew by, and each night I couldn’t wait to jump into bed and open the book to read a few more chapters before sleep. I think it’s the mark of a true writer when, after reading one of her books, a reader looks up more by the same author. That is exactly what I did. I am a new Moran fan and recommend this book to everyone! Madame Tussaud is available in paperback wherever books are sold. Michelle Moran is the author of the bestselling Nefertiti and The Heretic Queen. Her experiences at archaeological sites around the world motivated her to write historical fiction and continue to provide inspiration for her novels. Visit her online at michellemoran.com.